Call me biased. 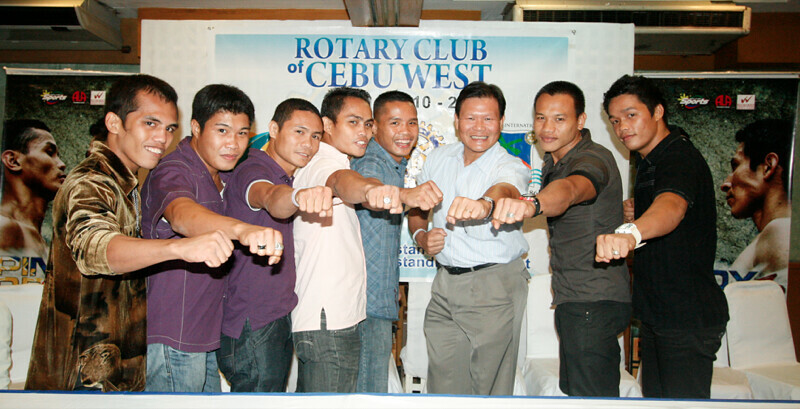 As president of the 48-year-old Rotary Club of Cebu West, I presided over a terrific evening of stars and laughter and Christmas celebration last Tuesday. Our guests? World-class boxers. Not one, two or six—but eight of Antonio Lopez Aldeguer’s best. 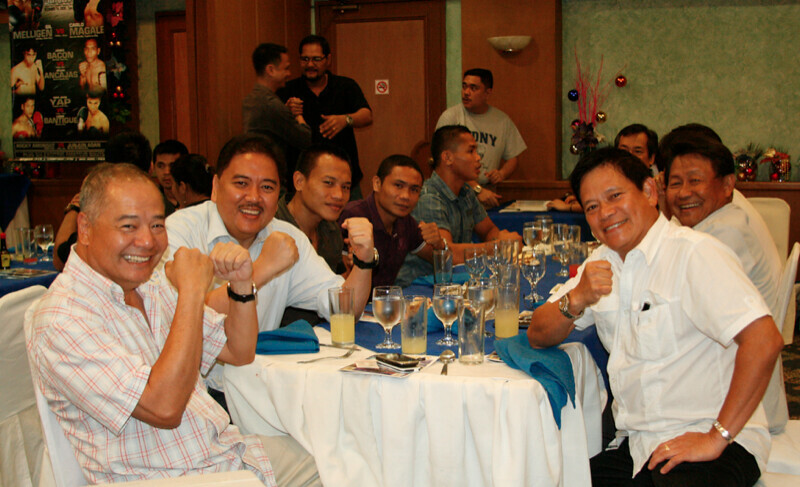 Donnie Nietes. Rocky Fuentes. AJ Banal. Jason Pagara. Boom-Boom Bautista. Milan Melindo. Z Gorres. Mark Melligen. 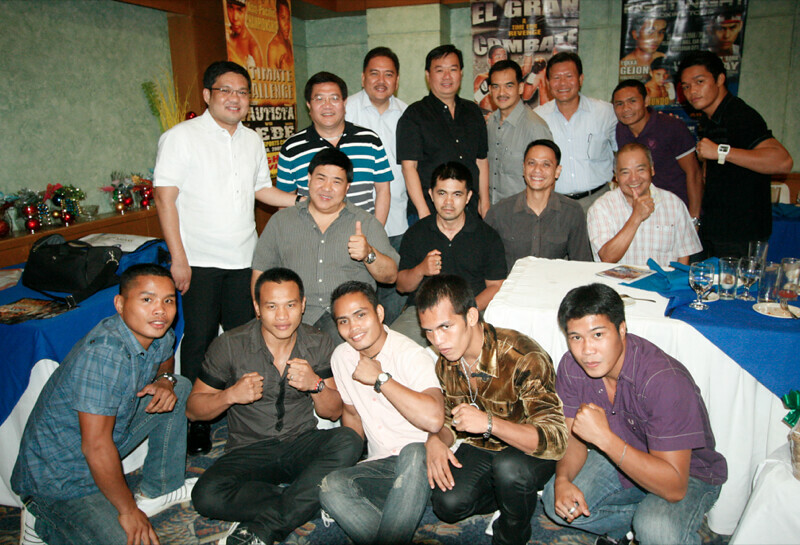 All these famous men, all in one room, all sharing their stories – how Nietes started as a janitor before becoming world champ; Boom-Boom’s “secret” three months “abstinence” story, too juicy I can’t share with you here; Melligen’s black eye on Floyd Mayweather, Jr. during sparring; Z Gorres’ touching words and handshake. Wow. I wish you were all there. The seating arrangement was like a press conference. 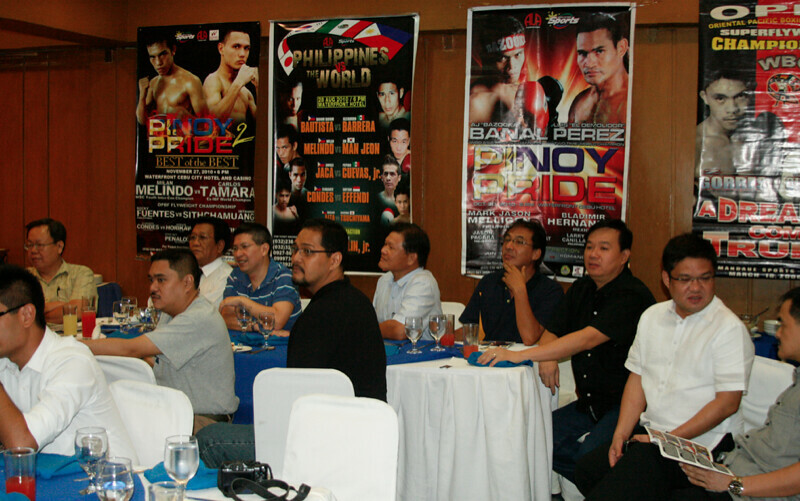 Lined up on a perched long table with nine seats that included coach Edito Villamor, the boxers were peppered with questions. But, the best part, all queries were light, funny, relaxed. 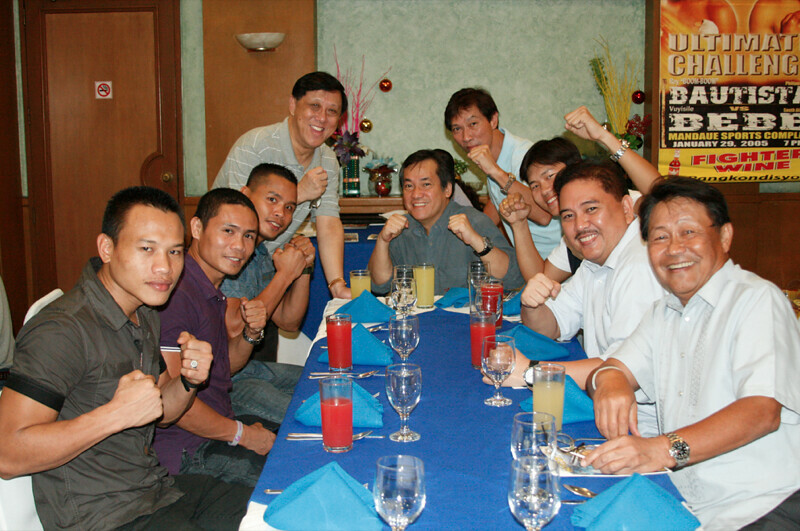 And so – unlike a formal pre-fight press-con where frowns are required – we had a dinner plate of jokes and cheers. Thank you, Michael Aldeguer. 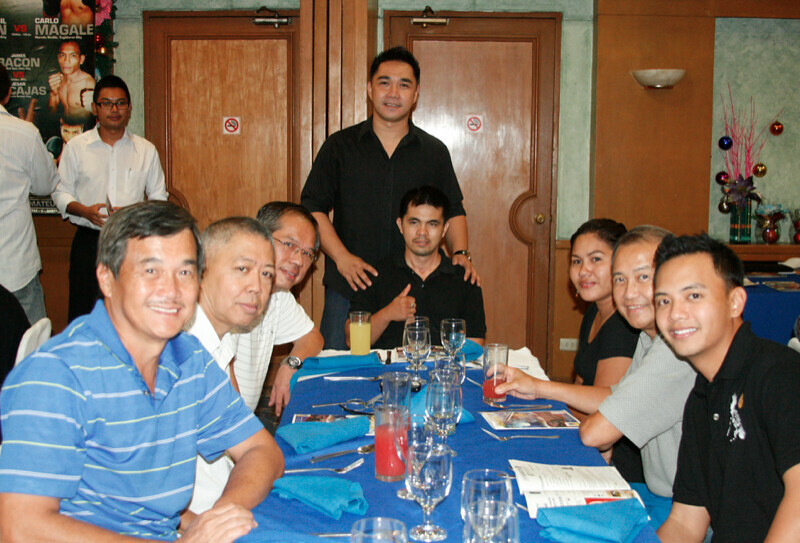 Thanks, Dennis Cañete and Chad Cañares. Thanks, most of all, to Tony Aldeguer. AZKALS. Tonight is the night. It’s when our suddenly-famous Azkals football squad meet Indonesia in the semifinals of the AFF Suzuki Cup. This Game One is supposed to be played in Bacolod. But, unlucky us, nobody expected we’d reach the semis – thus, no ready venue. And so, the game will be broadcast from Jakarta… live at 7:55 p.m. over Star Sports. Do we stand a chance? Yes. But consider the odds: We have lost 16 of 17 matches against the Indons. The good news, if any: the pressure will be on Indonesia. We have nothing to lose. We’re not even supposed to be there! Thus, Team PHL should have the mentality of a David vs. Goliath. They’re the giants of soccer; they’re supposed to win. But, who knows, with the slingshot of our feet, we might pull-off an upset. Game One is crucial. If the Indons win, they’ll be extra confident heading into Sunday’s Game Two. But, if we beat them — or, score a draw — that will be tremendous. Let’s watch tonight. Go, bark, bite, Azkals! THE HEAT IS ON. Who said Miami and the Three Kings of LeBron, Dwayne and Bosh were burned? I did. So did millions of others. With an embarrassing 9-8 record two weeks ago, we thought there was no way Erik Spoelstra would survive his coaching stint; no way for the Heat to cook the NBA crown. We’re wrong. Thus far, Miami has won nine straight. What happened? It’s clear that — like most beginnings — this team had yet to gel. Now, they have synergy. In plain English, teamwork. In June, I’m hoping for this finale: Miami vs. L.A.
CEBU CITY MARATHON. The deadline for registration is on Dec. 22. That’s six days from now. If you have yet to enlist, do so now. You may log-in www.CebuMarathon.com, register online, or you can visit the Active Zone of Ayala Center and you’ll find the booth there. Apart from the 42.195-km. distance, there’s the half-marathon (21K) and the 5K Run. Over 4,000 participants have already registered–and so less than 500 New Balance shirts are left for you to grab. Hurry! MEDAL. Designed by Meyrick “Jacs” Jacalan of ASAP Advertising, the CCM finishers medal — limited only to the 42K runners who cross that finish line — is dazzling. Mango-shaped to represent the fruit made famous in Sugbu, the medal has two mangoes interlocked. It’s yours if you’re willing to suffer – and celebrate — running those 42 kms. TENNIS. The Thirsty Tennis Cup – open to all junior players — will be this Dec. 20 to 23. Three venues are ready: Cebu Country Club (for the Boys 18, 16 and 14), Casino Español (Girls 12, 14, 16 and 18) and Baseline (Boys 12 and Unisex 10). Registration is now on-going at Thirsty Fresh Fruit Juices and Shakes outlets in SM, Ayala and Robinsons with the fee, P350 (inclusive of shirt and Thirsty drinks). Deadline is this Saturday, Dec. 18. For more inquiries, call Sandy or Emma at 416-1122 local 100 or 112.